Also, you can check this link out for some more updated reviews. One weekend afternoon, me and P felt like having a nice light lunch and he suggested going to Du Viet... 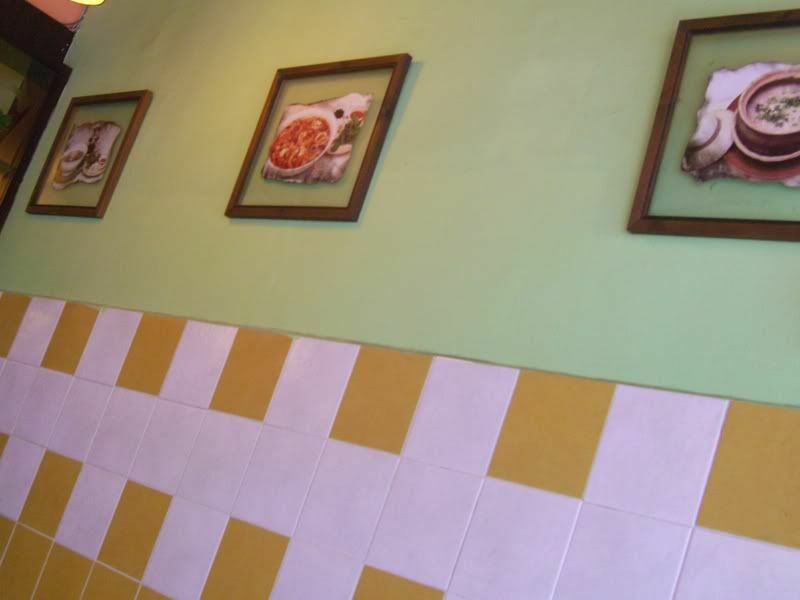 This local restaurant chain has slowly expanded over the years from its original outlet in Damansara Jaya with 2 new outlets in Sunway Pyramid and Bangsar Village. There are basically 3 types of rolls in there: 2 "summer rolls" (one chicken and one beef) and 1 deep fried spring roll, served with a savoury peanut dip and a sweet/sour chili dip. If I had to choose a favourite though it would definately be the Chicken Summer Roll - the "skin" of the roll was light and the chicken was well marinated, with a delicious lemongrass taste. 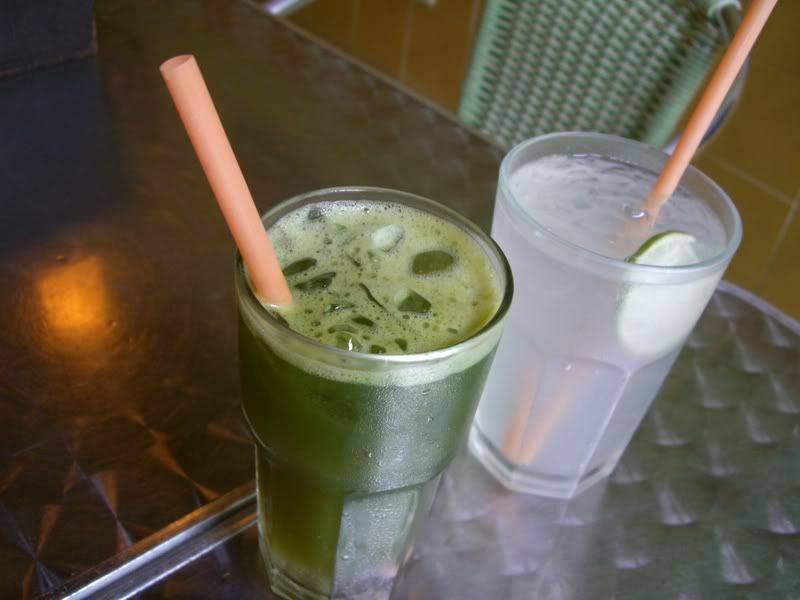 ... but if you like the taste of fresh mint with a little fizz to it, the Minty Soda is absolutely delicious. 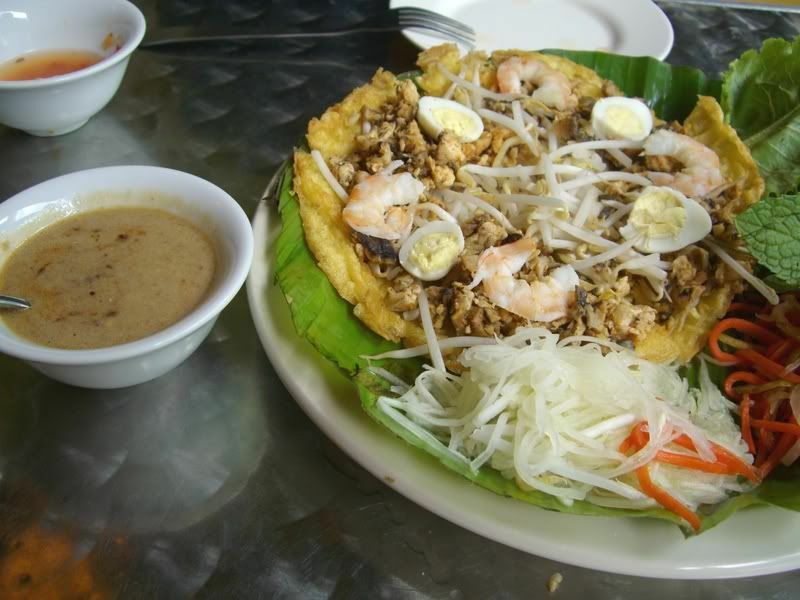 The pancake was light and fluffy (although an eencey-weencey bit too oily) and went well with the tasty topping of minced chicken, prawns, egg and taugeh. (There are also a variety of optional toppings like mint leaves and other vegetables on the side that you can add on if you like). And the beef noodles - MMMMmmmmm. Although it's stated that it comes with beef balls, beef slices and tripe - I opted not to have the tripe. 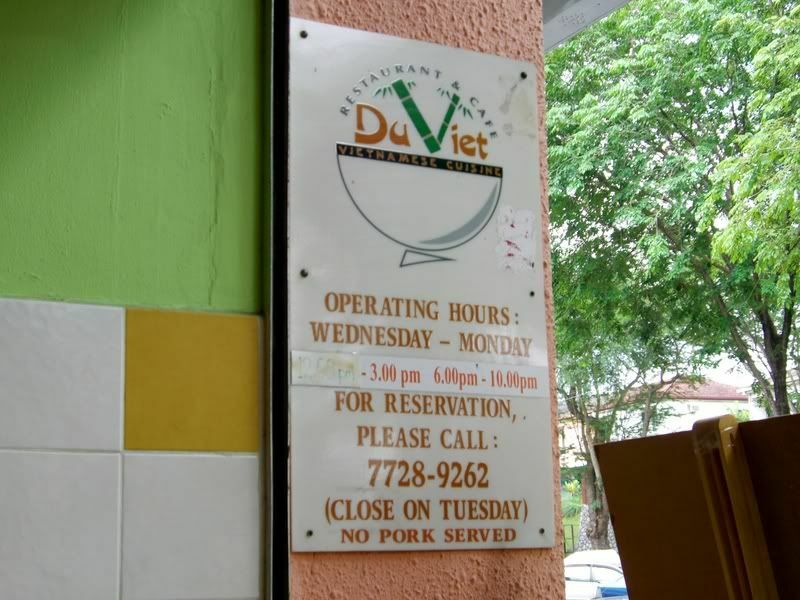 Du Viet is also pretty authentic in the way that they serve the optional additions of taugeh, basil, mint and a slice of lemon on the side - you can add as much as you like of each to the beef noodles. After all that, we were pretty full so we didn't try any of the desserts. 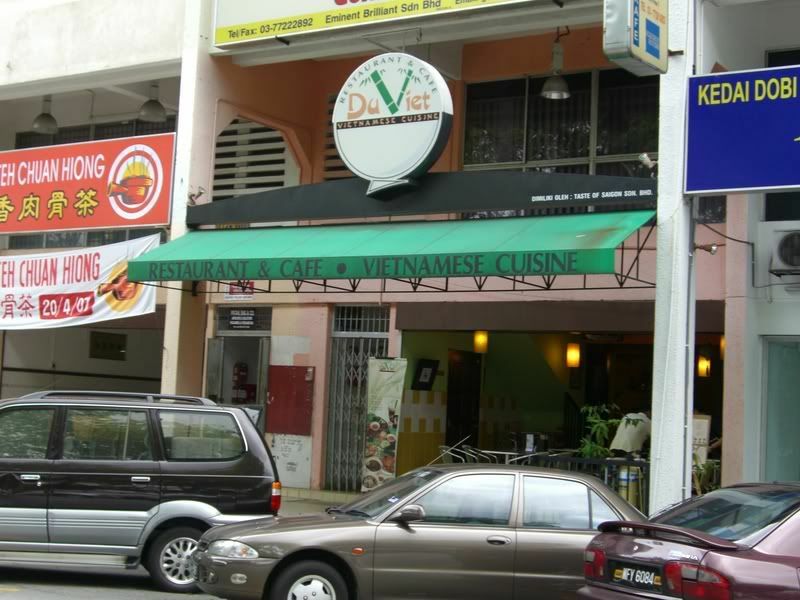 The friendly owner of the restaurant kindly informed us that they would be relocating from Damansara Jaya to Damansara Uptown in about 2 to 3 months time... but had no other confirmed details for now. So, it's: Pretty good food for the price, good variety, friendly service and down to earth dining ambience BUT hmmm, not many downsides except that sometimes it can be hard to find parking (all 3 outlets). Well, it is much healthier than, for eg., eating a burger and fries! ... so you can indulge yourself without feeling guilty. Cool - I'll do your tag as soon as I can. Hmmm,... I haven't tried Viet food @ Leisure Mall but it sounds interesting. Wow, I like your blogs and your post which full of delicious food. Very2 interestinglah..:)How about exchange link with me my new friend? 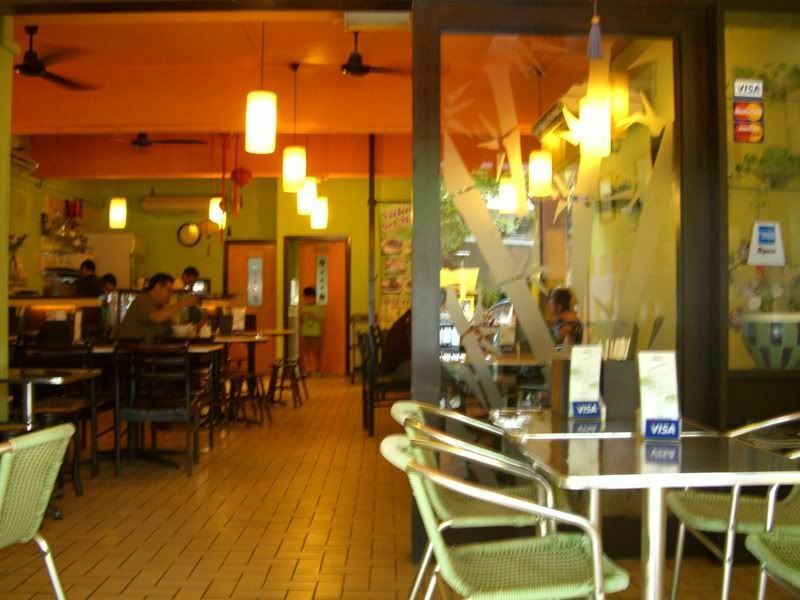 I usually eat at Pho Hoa at the Curve. Thanks for the tip on this one as we usually bypass this one in Bangsar Village. And thanks for pointing out another Viet place for me to try out! Cool - thanks for pointing it out. And yeah lor - tell me about it! Everyone's schedules are so packed that it's kinda hard to meet up..
... but that doesn't mean that we must stop trying though, right? Pho 75 is the one at the Curve I always eat at. I find their version the most authentic pho. Better than Du Viet, better than Vietnamese Kitchen. Pho 75 is actually a franchise from the US and they're pretty much all over the world now. Have eaten at the branch that was closest to my home in the US at the time and it was only slightly better than the one here (quality of beef better, and beef stock better). Cool! 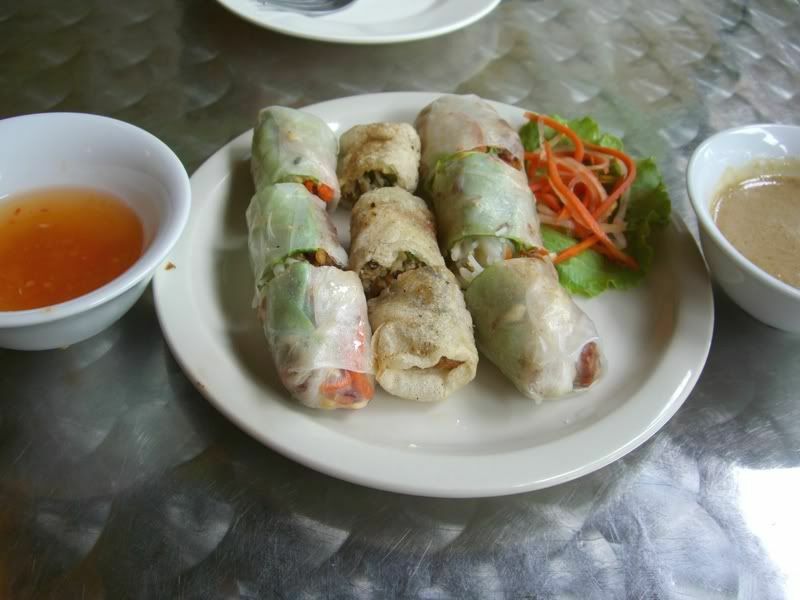 - more choices for yummy Viet food can only be a good thing. Shall try it out soon. Luckily I haven't left my house to go to the Curve yet... If I went there already and walked round and round and round looking for a restaurant called Pho 75 and then saw this message later, I will puuuuuuuuuulll your ear wei.